I few years back I hit a peak weight. According to my BMI (which is a questionable measure according to Roxane Gay), I was overweight. Not by a lot, mind you, but that plus peaking plus generally not feeling healthy, all combined as the incentive I needed to do something about it. I downloaded the MyNetDiary app (a calorie counter) and began exercising regularly on an elliptical. I started losing weight in no time. Unfortunately this also coincided with a very stressful period of my life professionally. And you know what people recommend for stress? Exercise. So I doubled-down. Oh yes, I anger-cized. And I cut out even more calories. Eventually I lost too much weight to become dangerously underweight. It was at this point I can relate to some of the anecdotes in Roxane Gay's Hunger: A Memory of (My) Body. I couldn't find clothes to fit me anymore. People around me suddenly thought it was okay to bring up my weight as a conversation, to give me unsolicited advice, to express their concern. I've reflected on this period from time to time, trying to figure out what went wrong. I've come up with a couple of theories: 1. I have some addictive tendencies and got somewhat addicted to the app and the exercise 2. I falsely believed I had control over something (i.e., losing weight) which at that point was something I desperately wanted. 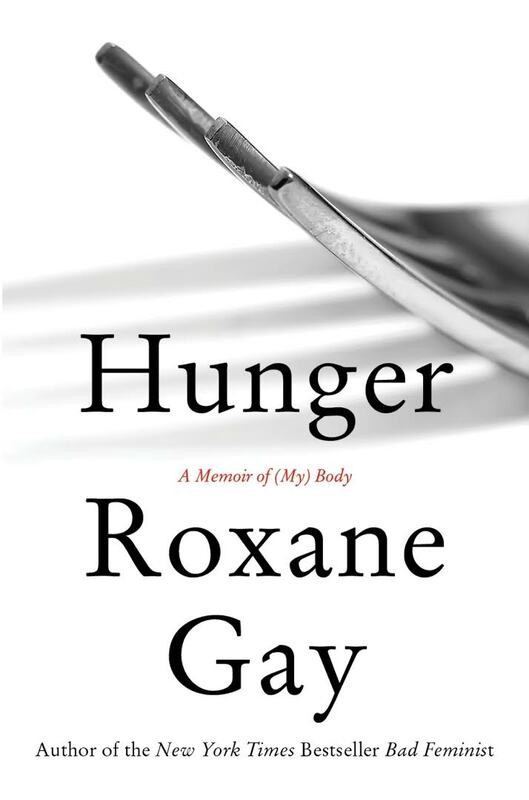 I will not pretend that my weight story is anywhere near as dramatic as Roxane Gay's whose largely revolved around a much more traumatic event from her childhood. Plus, she's lived with her weight issues for much longer. Plus, she's a woman in a misogynist society. Plus, she's black in a racist society. In other words, the variables involved in her story should eradicate any misguided notion that I can relate to her; to her challenges or to her strength. But maybe it's her gift of writing that made me feel I could nonetheless. I especially liked her sarcastic, funny tone that still got serious, respectful, and poignant when needed. For a memoir, Hunger is surprisingly not navel-gazing. Yes, Gay looks inward a lot as she unravels how her body became her body, but it's as much a sociology book as it is a psychology book. And I so enjoyed how honestly complex she is. I guess we all are complex, but few have been able to convince me like Gay has that it's possible to be simultaneously full of doubt and confident at the same time. Hunger is told in bite-sized recollections, usually related to a specific anecdote and/or theme, that made the book go down a lot easier.